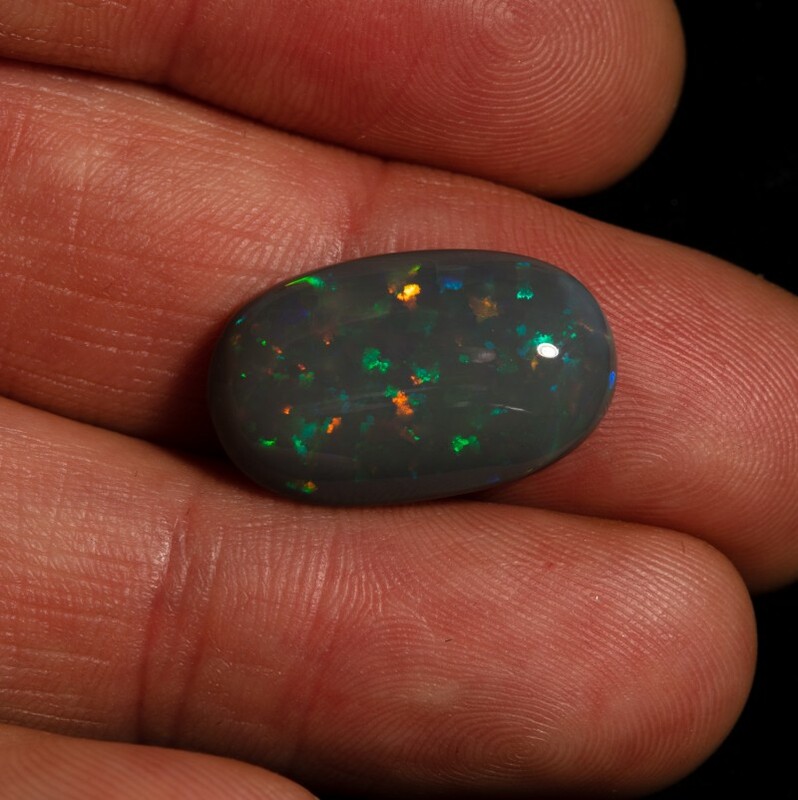 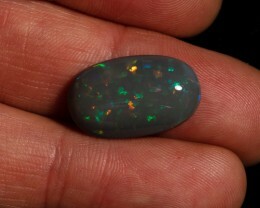 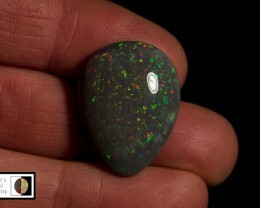 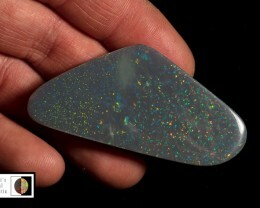 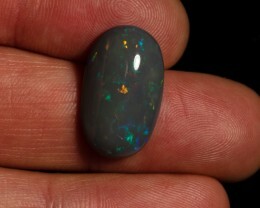 Large long oval cut Allens Rise black Opal, good high dome. 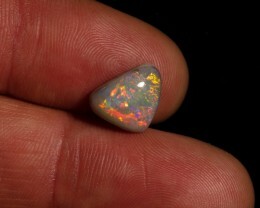 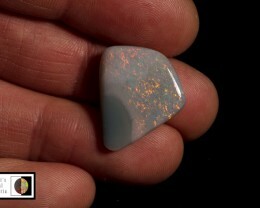 Opal shows a soft block fire pattern of oranges, green, reds and blues. 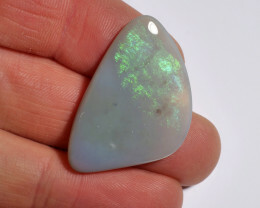 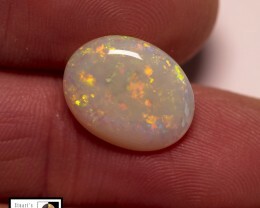 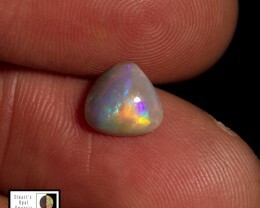 In sunlight this opals comes alive a little more moody in the shade. 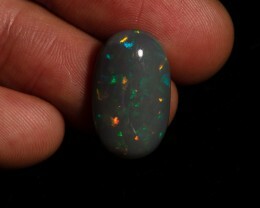 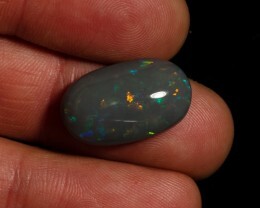 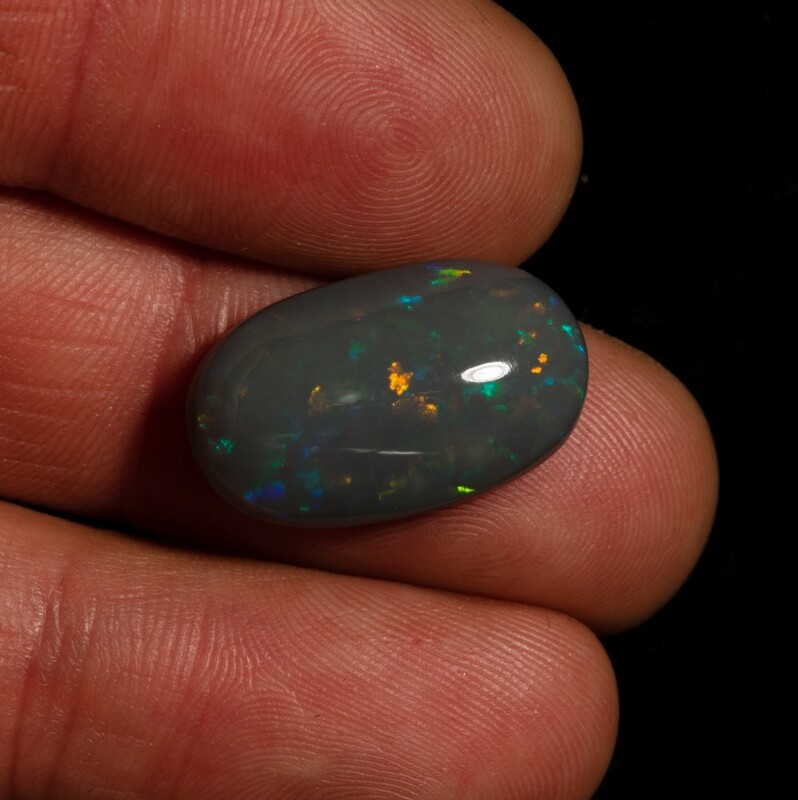 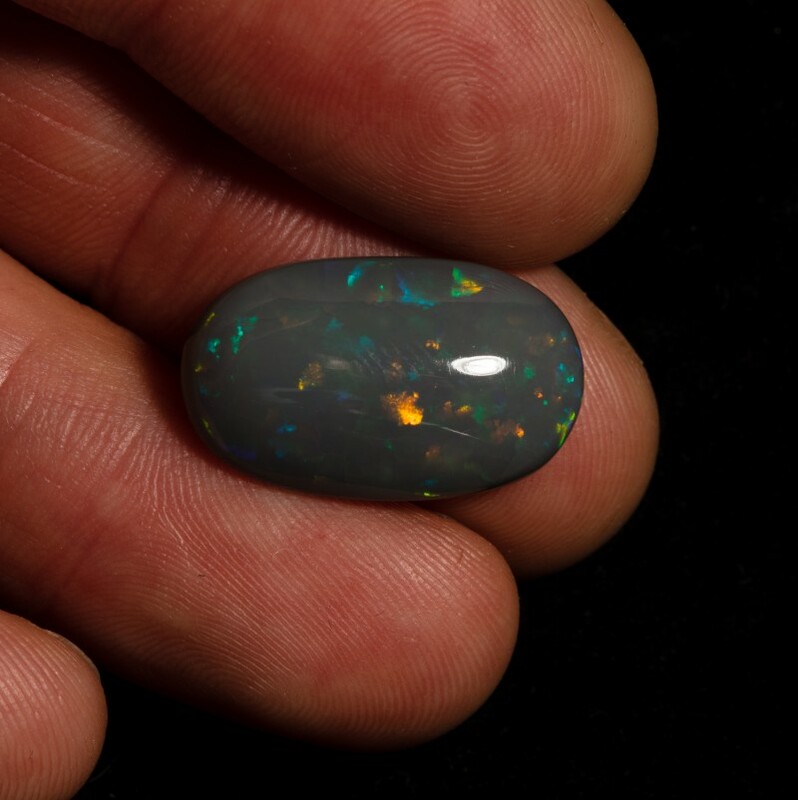 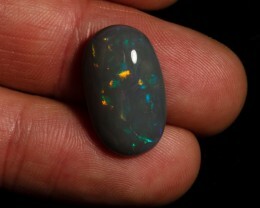 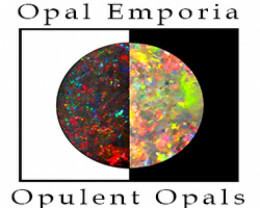 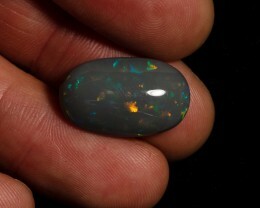 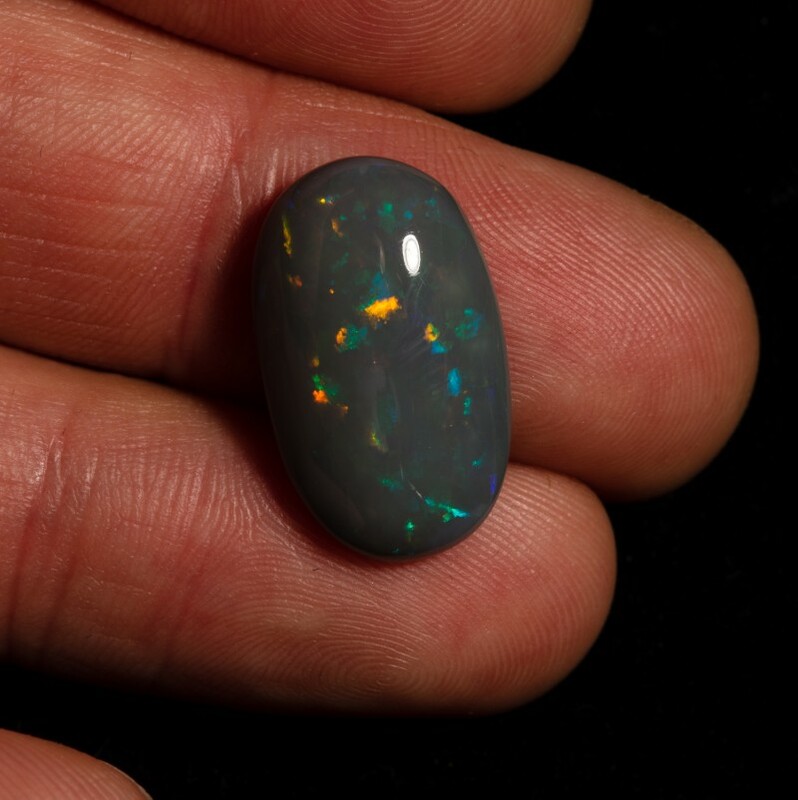 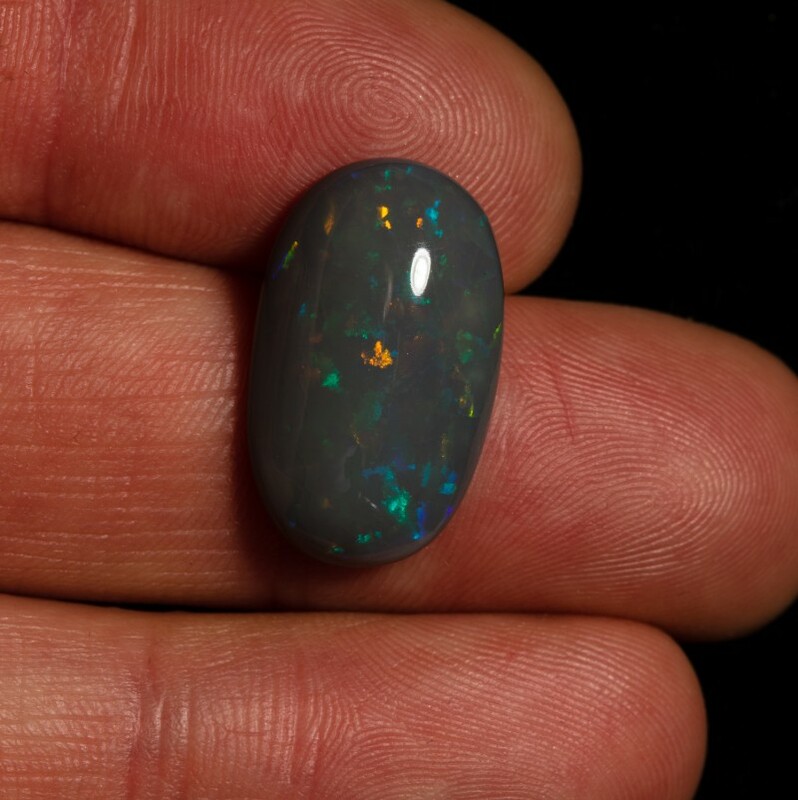 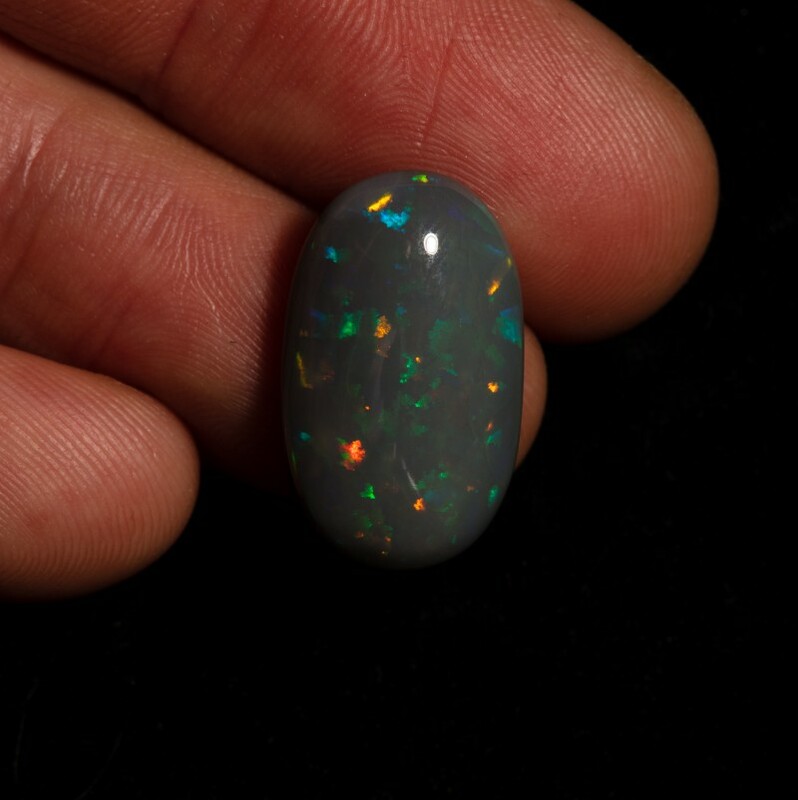 Great price for a large black opal. 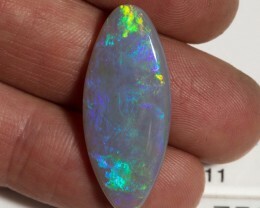 Very nice opal for the price! 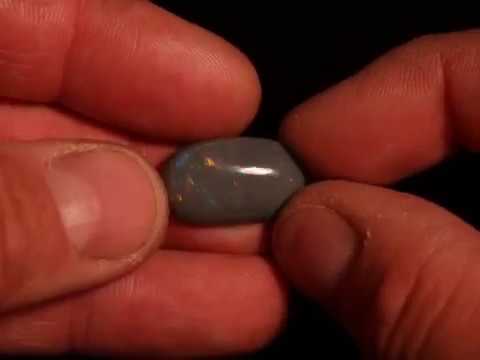 prompt shipping. 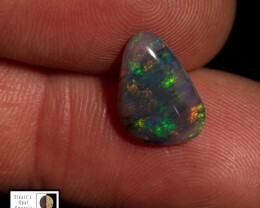 happy with the whole deal!